Moms everywhere have given us great advice our entire lives – well, maybe that last one can’t be attributed to mom, but it’s good advice nonetheless. We know at some point hardware will fail – the network will go down – somebody will accidentally delete important data or some other event will occur that may interrupt your service. By doing regular back ups, you can avoid a disastrous scenario and minimize the impact of these types of events. 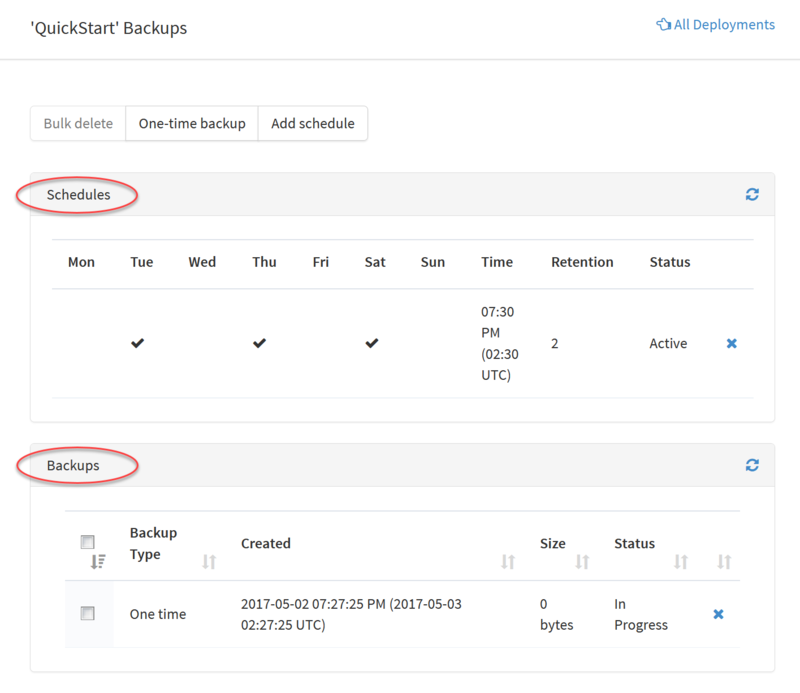 Measured Search is pleased to announce our new Solr backup feature. The back up Solr feature is available to all SearchStax clients at all levels of support. Backups of a deployment can be performed on demand or automatically on a configurable schedule. Backups include both the Solr index and the Zookeeper configuration. SearchStax retains multiple backups up to a configurable limit. Beyond that limit, the oldest backups are automatically discarded. For additional information see the Back up Solr discussion in the SearchStax User’s Guide. Click the link to learn more about SearchStax, the leading Solr-as-a-Service platform.